The Do's And Don'ts For Investors During Stock Market Crash. 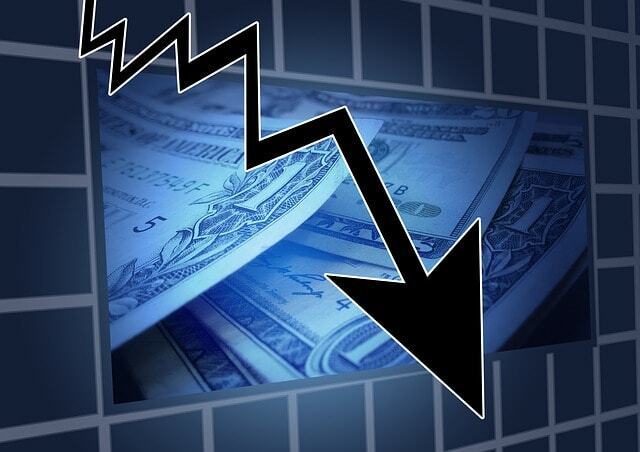 HomeStock Market The Do's And Don'ts For Investors During Stock Market Crash. 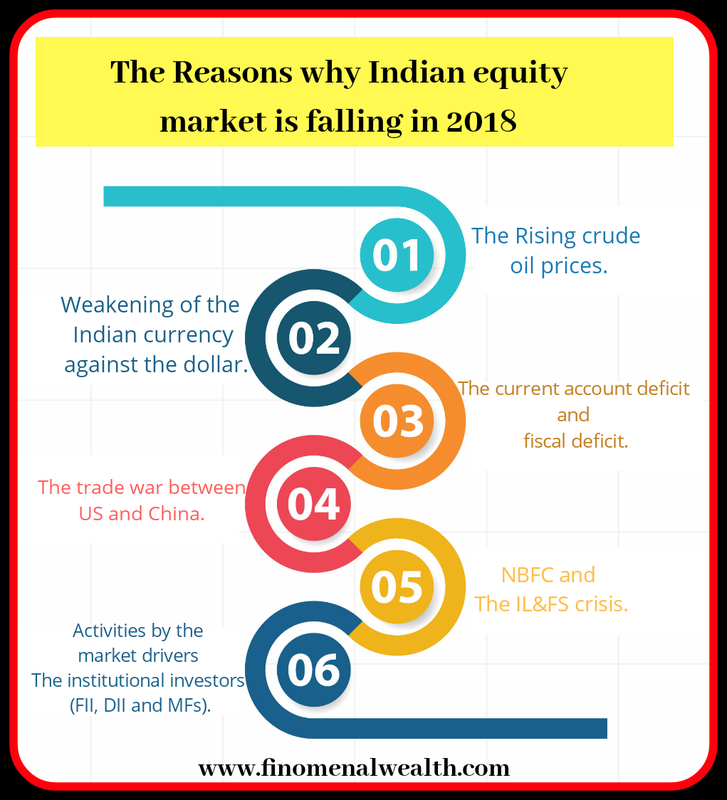 The Indian equity market is currently subjected to a Continous fall and is accompanied by a sharp correction amidst innumerable macro and micro factors as well as other market related concerns are making the equity markets of India to face a bearish face of continuous downfall. The Rising crude oil prices. Weakening of the Indian currency against the dollar. The current account deficit and fiscal deficit. The trade war between US and China. Activities by the market drivers i.e the institutional investors (FII, DII and MFs). Non Banking Financial Company (NBFC) crisis. 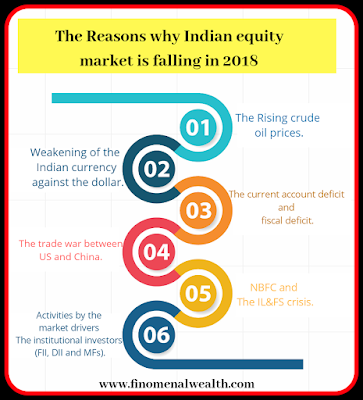 All these concerns are the factors of the current bloodbath in the Indian equity markets. The stock market is prone and exposed to volatility (the ups and down in the markets). The fluctuations are common when it's comes to stock market. In the past, The benchmark index, sensex has fallen more than 2000 points in just few days. In just a period span of 5 working days the market eroded around 10 lakh crore of the investors. The nifty is also standing on the same footing of the downfall. Now, there is no doubt that when the markets are prone to such volatility, sharp correction and continous downfall(currently referred to as a market crash). Investors like you and me are likely to become fearful in the current market scenario. But the time is to remember the wordings of legendary billionaire investor Warren Buffet. It is a natural phenomenon and a common psychological behaviour of the investors to get discouraged about their investments, when their investments are subjected to poor performance because of badly performing markets. Of course, fear is natural because ultimately it is the concern of the hard earned money that you and me earn. Now without "beating about the bush". Let me give you a glimpse of some do's and don'ts that an investor should take care of during the market fall. You must not hazard to take emotional decision amidst the volatility of the market. Don't panic to sell out your investments. Don't let fear conquer your intellect and thereby consequently leading you to make a wrong and irrational decision. Avoid the herd mentality you must not sell your investments by just seeing others or the crowd because in sharp correction market all are selling. You must stick to the fundamentals of your selected stock. Analyze the reason of the downfall and why is your stock beaten down by the market and after evaluating the pros & cons take your investments decision. Evaluate your stock in three ways. If you are clear of the soundness of the company's strong fundamentals then you must stay invested because time will ultimately heal everything and the markets will improve. Consult your financial advisor before you take any decision in the hustle and bustle of the markets volatility. Do not forget to look at the valuations of the stocks and the fundamentals of the company. In short, neither you should follow the crowd mentality nor you should sell your stocks based on the current headlines in the market by ignoring the fundamentals and the purpose of your investment. 2.Start or stay invested through your systematic investment plan (SIP). You must strictly stick to your investment goals and must continue to save more and invest more hunting for quality stocks. While, In this falling market. It will be very opportunistic to buy more unit or increase your investment corpus i. e. investing more because the valuations will be attractive. Don't forget the theory of a value investor. 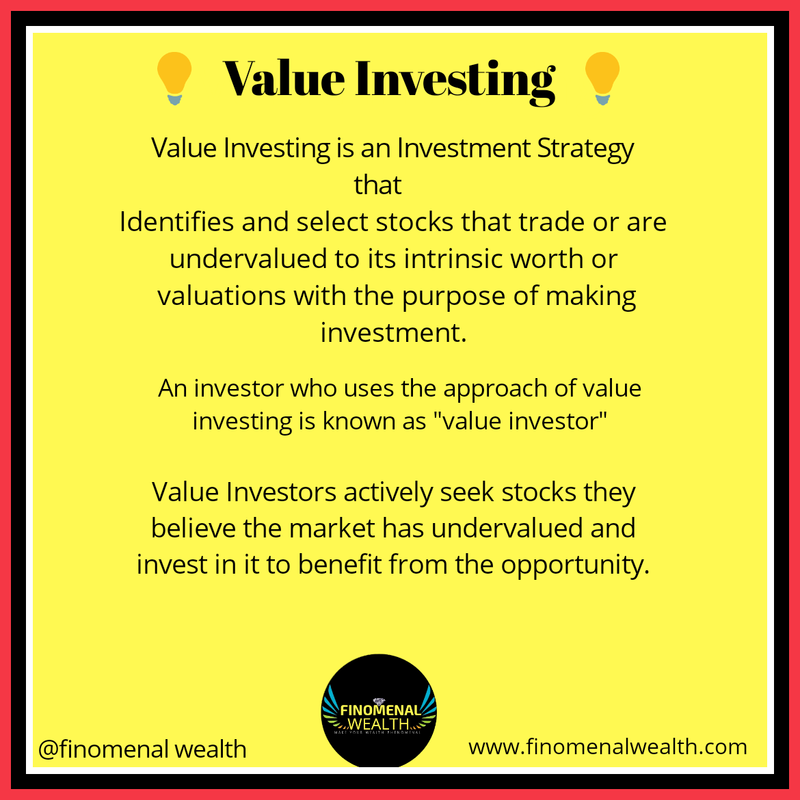 Your investment amount might have shrunk because of the underperforming markets and to cover up your loss you need to do bottom fishing (buying stock at cheap valuations). So, when the market cycle will take turn the stocks will improve and the stocks will rebound and their prices are likely to go up and when this happens you will be standing on a benefiting edge and will definitely reap benefits from the market. Same happen, After the financial crisis of 2008 -2009 and downfall of 2011, when markets improved. 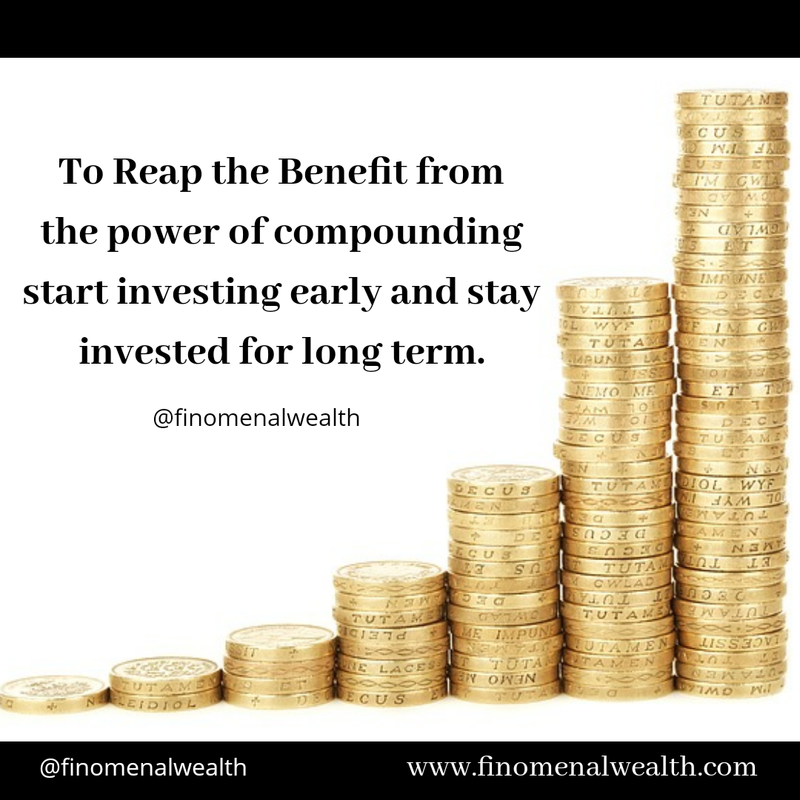 Investing at the time of corrections will help you to reap the benefits when the markets rebounds and revive from the fall. 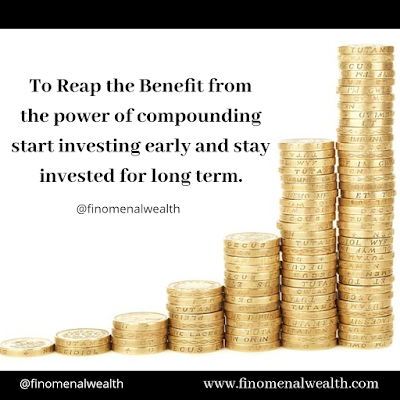 If you want to get benefit from the power of compounding stay invested for long term and of course equities outperform every other asset class in long term in terms of stellar returns. 3.Differenciate between 'risk' and 'volatility'. Investors generally mistake 'risk' and 'volatility' to be the same side of the coin. But actually they are not. Let me dive deep into the concept. Risk is the uncertainity, possibility or the chance of injury loss or any hazard. And in financial terms risk refers to the loss of money. While volatility is the fluctuations(the ups and downs) of the markets rapidly and significantly an investment tends to change in price. Equities/stocks/shares are volatile investing instruments and are likely known for the fluctuations because of number of driving factors. Volatility does not imply risk. Volatility does not means the risk of losing money. Volatility is a short term scenario. Volatility can only be harmful if you are a short term equity investor. If you are a long term investor you can beat volatility and can gain from the markets with a long term horizon. 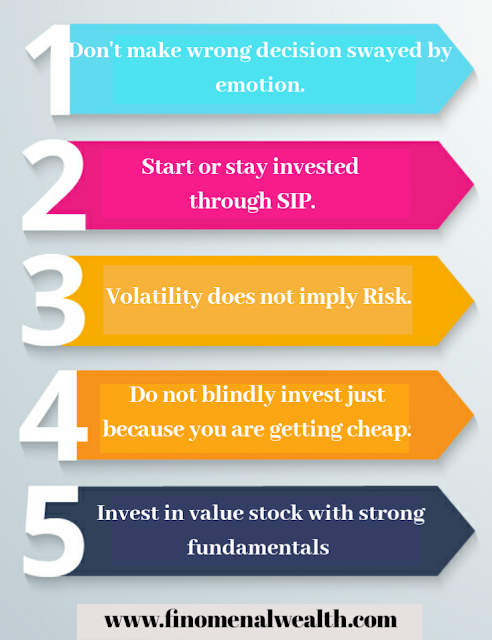 4.Do not blindly invest just because you are getting cheap. Remember cheap valuations does not always means a value buy or it will benefit you, buying only because you are getting cheap is not a good idea. You must only buy those cheap stock which are worth of investment with strong fundamentals and future growth. Do not buy loose fundamentals stocks otherwise you loose more money. At the times of the sharp correction in the markets the stocks prices falls drastically and the valuations becomes cheap as well as look lucrative. So don't hazard to get lured by cheap and eye-catching attractive valuations of the stock and should always invest based on various factors. The fundamentals of the company. The track record of the company. The quantitative and the qualitative factors. 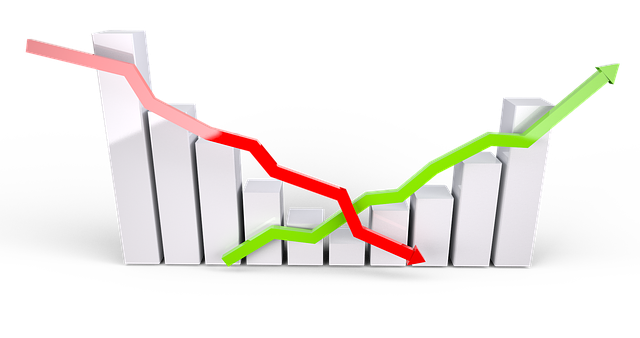 The rise and fall in the stock markets is driven by many factors and volatility,sharp correction and downfall is temporary. Investors must not hazard emotional, uninformed or irrational decision when it comes about their hard earned money. Take wise decision, find opportunities in the markets. Invest in stocks with strong fundamentals and future growth and have a long term investment approach. Information is very informative also you can click nexter.org/ ,and get such type of info, this is the great resource to get such type of information. Thank you for the post and it is very interesting to read. We can also learn in such places like Share Market Courses in Mumbai for the bright future. Great article thanks for sharing this kind of information. We are providing best FUTURE TIPS in Indore and secure your investment with us and that uses composite stock future tips in Indore to allow investors to speculate on the performance of the entire market, or to hedge against losses in long or short positions. The settlement of the contracts is in cash in index future. Great idea! i think stock market is one of the best option to get positive range of return on investment. Share Brokers in Coimbatore might be the experts to give the best kind of brokerage services. Thanks for this wonderful post, I want to become a trader. Now I'm in Share market courses in Mumbai. They guide me very well. Prashant Kumar Mishra is an Entrepreneur and the Founder of Finomenal Wealth. He is a Blogger, Finance enthusiast, Stock Trader and an Investor. He is also a Google certified digital marketer and a prolific writer at ExpertsColumn and many other websites . 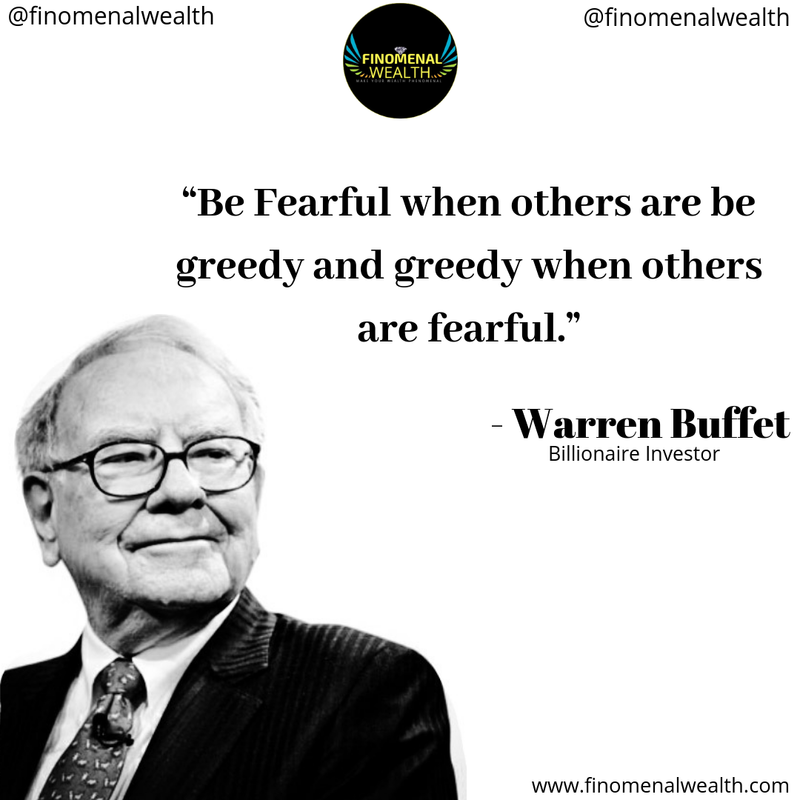 He is the chief editor and the author of his own website finomenalwealth.com, a website that focuses on personal finance, stock/share/equity markets, investing, mutual funds, business, investments, wealth and money. He refers to himself as a fanatic learner, an avid writer and an inquisitive mind who is passionate and obsessed with stock markets and wealth & money making strategies. 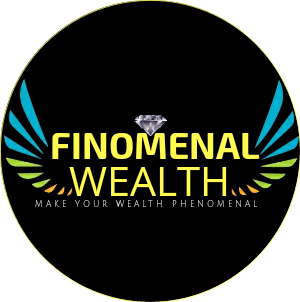 Finomenal wealth is a website that focuses on personal finance, stock/share/equity markets, investing, mutual funds, business, investments, wealth and money. Any unauthorized use, reproduction or copying without the consent of the business owner shall attract all civil & criminal law remedies.